The free museum re-opened in February after a $1.7 million renovation of the 1898 building. The only museum located on an active high school campus, the Richmond Art Museum includes four galleries featuring American Impressionists and regional artists. A 10-minute lesson is all you'll need to try these jetpack-like devices, which use high-pressure streams of water to shoot riders 30 feet in the air. Those who think the crazy, dancing characters deserve just as much recognition as the athletes can interact with famous mascots and see classic performances in this 25,000-square-foot space opening later in 2018. The new $38.5 million attraction at the Children's Museum of Indianapolis includes a 7.5-acre outdoor space with 12 interactive sports play zones, such as a mini Colts football field and Indy 500 pedal cars. The 60-foot-tall climbing "Tree of Sports" is right out of any kid's treehouse dreams. The theme park will complete $3.5 million of additions in 2018, including an elephant-theme children's water play area with eight new waterslides and a junior wave pool. Also on the list: a giant Halloween-theme maze and new entertainment, such as a musical magic show. Conner Prairie living history museum has added an experiential workshop where kids and adults can learn about historic trades and work hands-on with textiles, metal, wood and pottery. 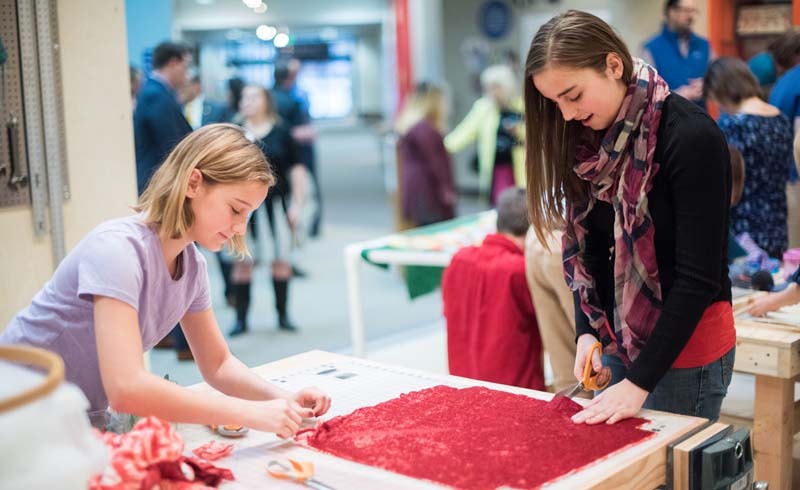 Kids experiment with textiles at Conner Prairie's MakeSmith workshop. Bartenders framed by a colorful, tiled backdrop serve tart ciders to pair with cheese trays and cider-poached txistorra chorizo. The owners opened this Spanish-style lounge above their already-popular Belgian pub, Brugge Brasserie. 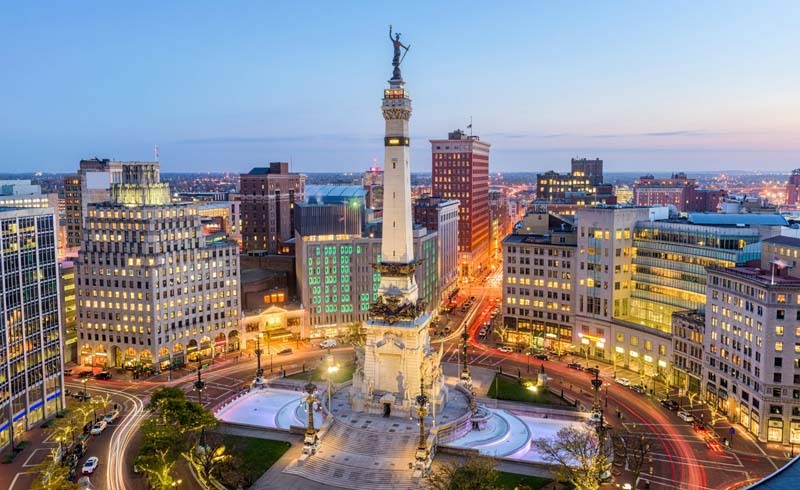 Learn about the people and places feeding Indianapolis on one of these location-themed food tours, which feature tastes from three restaurants or bars. Tour guides are members of Eat Here Indy, a social network for Indianapolis foodies with 700,000 members and counting. Indy sure loves its food tours, but we're not complaining. This one is led by Jolene Ketzenberger, who covered the local food scene for the Indianapolis Star. Try local fare, sip cocktails and chat with Indy chefs and owners. 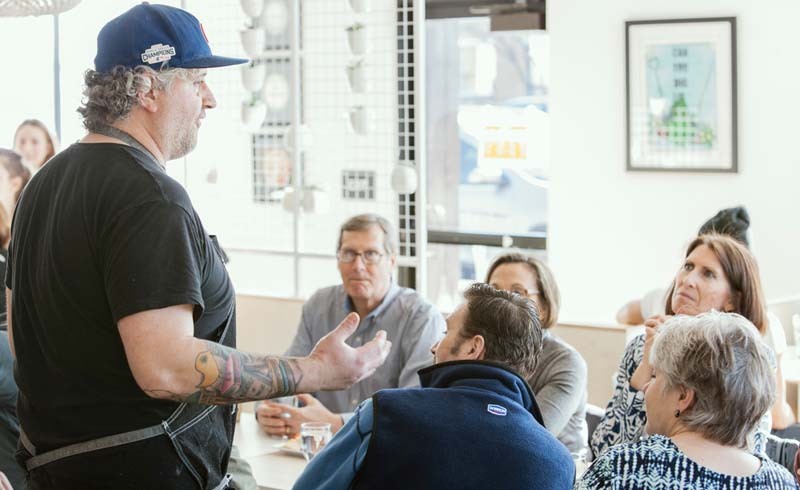 Ian Phillips, chef and owner of Indianapolis restaurant Three Carrots, talks about his business during the Indianapolis Cultural Trail food tour. Check out the latest bespoke venture from Indy-based Flying Cupcake franchise owner Kate Drury. It’s located in a former car wash and serves sandwiches, salads, light bites, soups and quiche plus cocktails, beer and wine. The 11-stop trail highlights craft beer, spirits and root beer producers throughout the state. The tour emphasizes small batch drinks at the Lafayette Brewing Company, Black Swan Brew Pub and more. Combine summer camp nostalgia and a grown up-appreciation for a good brew at Pendleton Falls Park, where cabins complete with bunk beds and beer taps will be completed in May. Between rounds of golf at Pendleton's course, campers can take beer classes covering wild yeast, fermentation and more. The site will also hold the Big Lug Country Pub, part of the Sahm's restaurant group out of Indy. The tiny house trend hits the Indianapolis 500 this year. Rent a fully furnished (and adorable) luxury "Try it Tiny" house at the Indianapolis Motor Speedway during the big event.